Rickshaw Stop: Rickshaw Stop serves flavorful Chicken Kebab Wraps and Chicken & Veggie Samosas like you've never had before. 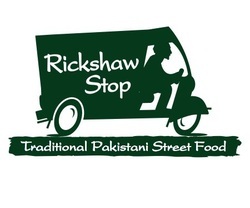 If you are craving to try some traditional Pakistani street food, Rickshaw Stop is the way to go. 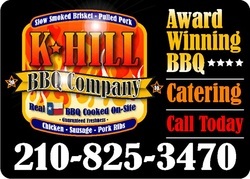 K Hill BBQ Company: K Hill BBQ Company serves some of the best BBQ in San Antonio. Their menu will includes: sausage on a stick, sausage wraps, and frito pies. They also have a tasty selection of BBQ sandwhiches made of either chopped beef, turkey, brisket, pulled pork, or sausage. Mr. Meximum: In a truck you surely can't miss with an image of a mexican wrestler, "Mr. Meximum", on its side. Mr. Meximum offers several types of delicious Mexican specialites such as Costras and Tostadas. Their savory gourmet tacos vary from al pastor, steak asada, chicken and fish. Say.She.Ate. TX : Say. She. Ate. offers american comfort foods with a gourmet twist that will make your mouth water. Their menu will include: Akaushi Beef Sliders, Duck Fat Fries, Blue Cheese & Bacon, and Deviled Eggs.